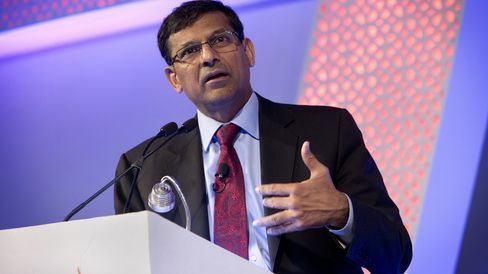 Bond investors in India are turning more bullish as central bank Governor Raghuram Rajan shows them the money. Ten-year notes capped a third monthly gain on Friday, with the yield dropping 34 basis points since Jan. 31 to 7.44 percent. It’s seen declining to 7.30 percent by Dec. 31 in the latest Bloomberg survey, down from 7.50 percent predicted in a March poll. The optimism is stemming from the Reserve Bank of India’s commitment to provide more cash to the financial system and expectations that adequate monsoon rains will keep inflation in check.